Join us for an exciting new course in slow/fast textiles this autumn at the V&A. 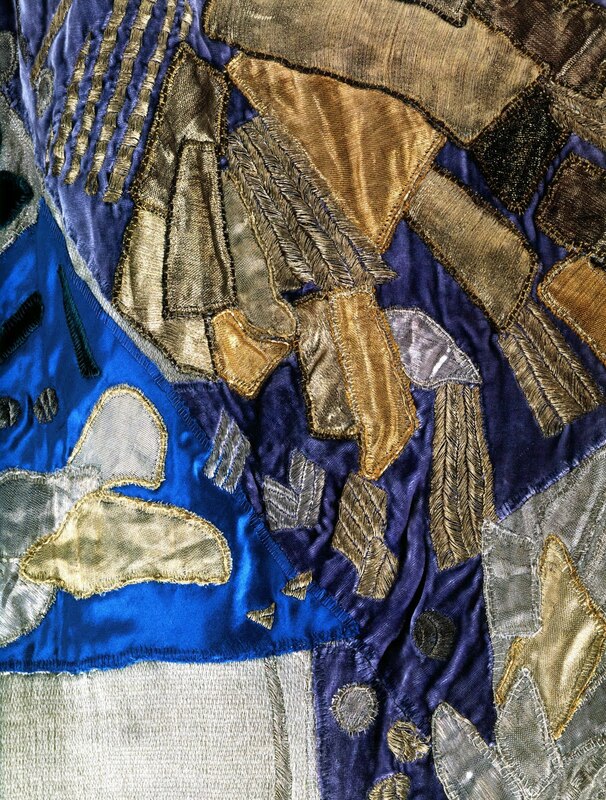 Study firsthand the Diaghilev and the Golden Age of the Ballets Russes exhibits with University of the Arts’ tutors Emma Neuberg and Melanie Bowles and learn to create textiles inspired by the Russian Ballets costumes and set designs. Over a period of eight weeks, you’ll develop your own designs and use slow and fast textile processes to create a scarf and or cushion cover (and lots of samples). This is a one-off course that promises to pioneer a new dialogue in textiles, design, history of art, old/new textile technologies and sustainable thinking applied to textiles. Applique dress detail by Natalia Goncharova for Maison Myrbor, c.1925. “Fast/Slow Digital and Manual Textile Design“. Starts October 8th 2010 at 2pm. For course details, go HERE.